While last month's edition of The Cruelty Free Beauty Box was not the best for me, I have to say I had high hopes for April. Well, my delivery just arrived and I have to say I am well impressed!! This edition is the pre-birthday box, and it contains five products, two of which are full size. The collections leading up to anniversary dates are always fab, and the April one is no exception. This box has a value of over £45! Before I even get into the specific goodies, I have to say that I will be using every single product except for one, but even that item looks amazing. If it were not for the phenoxyethonal (which as I have mentioned before I am incredibly sensitive to!) I would be tempted to at least try it out despite my rigorous ingredient rules. The box includes several names we have seen before in The Cruelty Free Beauty Box, one that has been making the rounds through every subscription service, and one label that I have never seen included in a beauty box. All in all, I have to say the variation is still great even for those who have been subscribing since the beginning like myself. First up is a whitening gel for teeth, something we have not before seen in The Cruelty Free Beauty Box. 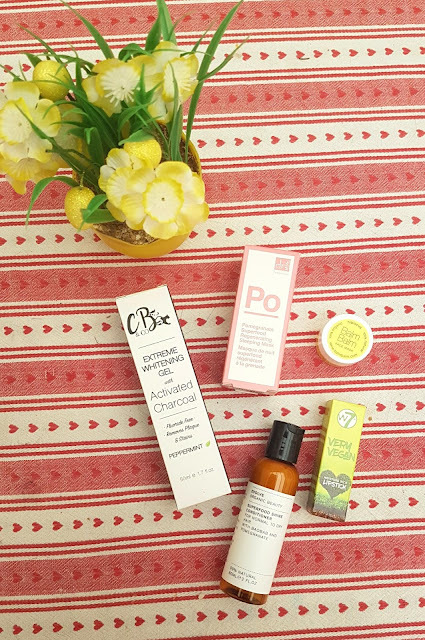 The CB&CO item is full size and retails for almost £20 -- that's more than the price of the box already! I noticed straight away when I was checking the ingredients on the back of the cardboard box that while this may sound like a fresh name on the market, it is actually a re-branding (or possibly a splinter company?) of Cougar Beauty. I have tried out a few of their products in the past, as some are natural as well as being cruelty free and vegan, and I have been pretty happy with the quality. I was not aware that they had gone through a redesign, but I am liking the new look! The Extreme Whitening Gel contains activated charcoal and peppermint essential oil, making it ideal for removing stains, freshening breath, and killing off gum disease causing bacteria. It does contain a few ingredients I usually try to avoid when personally buying dental products (such as artificial sweeteners), however as they are considered non-toxic by the vast majority of research, I will be giving this whitening gel a go. My teeth are in need of some serious help due to my love of coffee, tea, and red wine, so I really need to try to sort that out. I will be giving updates in a month or so about the effectiveness of the product, so keep an eye out for that! Next on the list is from one of my favourite green beauty brands, Evolve. We received two items from them back in February, and I am so excited to see them again for April's box. This time we have the Superfood Shine Conditioner, a hair savior that is packed with baobab and pomegranate to replenish and rehydrate from the outside in. My first impression is that it smells incredible. The blend of essential oils and rich carrier oils really packs a punch, and I can already tell this is going to be a joy to use. My only wish is that Evolve cuts phenoxyethonal from the ingredient label, and also switches from plastic bottles over to something more eco-friendly like glass. That being said, this conditioner probably still wins out as my favourite product in this month's collection from The Cruelty Free Beauty Box, as it is 99% natural and smells so divine. I am a bit wary about how my skin will fare with the one 'nasty' in it, but I will try to give updates in about a week to let you know how I get on with this product. Third in the April box is a sample of the Hibiscus Face Mask from Balm Balm. This is actually a product I have mentioned in an empties post and my exfoliation series before, and one that I already love. Balm Balm was featured long ago in the very first edition of The Cruelty Free Beauty Box, and I have been waiting for another appearance since then. This little pot contains a water activated mask that works both to exfoliate and to cleanse. Rather than a drying clay, the main ingredient is rice powder, meaning this does not harden like a rock or cause your skin any dryness. This gives a gentle scrub, so it does not irritate the face, and I would say it is suitable for all skin types (including sensitive!). While the size may seem small, you actually only need to use a small amount of this to cover your face and get the full effectiveness. And when you have finished it, the full size is not very expensive at all! You can also then reuse the plastic pot - I have melted an old lipstick down into it so I can now apply using a lip brush! Ingredients: Oryza Sativa Powder, Hibiscus Sabdariffa Flower Powder, Pelagonium Graveolens. Next is a Very Vegan lipstick from W7, a brand I have often seen at TK Maxx. The brand as a whole is not vegan, however they have launched a vegan range that are very clearly marked for easy shopping. I have never tried any of their products, as the ingredient labels do not pass my test, but I have to say the saturation of colour on this lipstick is really impressive. The shade is called Calming Crimson, and is a bright red that is seriously perfect for spring. The formula is meant to be very moisturizing without skimping on staying power. The Curvaceous Vegan has actually written a lovely review of the W7 Makeup line including the lipsticks, so if you want to hear more about the wear and tear of this product, go check out her post. Ingredients: Octyldodecanol, Ricinus Communis Seed Oil, Ethylexyl Palmitate, Bis-Diglyceryl Polyacyladipate-2, Candelilla Cera, Pentaerythiryl Tetraisostearate, Polyisobutene, Ozokerite, Hydrogenated Microcrystalline Cera, Phenoxyethonal, Flavor/Aroma, Butyrospermum Parkii Butter, Tocopheryl Acetate, Tin Oxide, Citronellol, Hexyl Cinnamal, Linalool, Cinnamyl Alcohol, [+/- May contain/ Peut Contenir: CI 77019 (Mica), CI 77891 (Titanium Dioxide), CI 15850 (D&C Red 6 Ba. Lake), CI 15850 (D&C Red 7 Ca. Lake), CI 45410 (D&C Red 27 Al. Lake), CI 45410 (D&C Red 28 Al. Lake), CI 42090 (FD&C Blue 1 Al. Lake), CI 77499 (Iron Oxide Black), CI 77491 (Iron Oxide Red), CI 77492 (Iron Oxide Yellow)]. Last, but not least, is the Pomegranate Superfood Regenerating Sleeping Mask from Dr Botanicals (wow, that is a mouthful!). The Dr Botanicals brand has made its way into many of the popular boxes recently, including last month's The Pip Box and this month's Love Lula Beauty Box. I have expressed my concerns with Dr Botanicals before, however I am genuinely intrigued by this new Apothecary Natural Collection range. The ingredient labels are relatively clean (though there are concerns about carrageenan extract), and the shelf life of three months after opening suggests these are made fresh. This is the 30ml size, but to honest I prefer smaller sizes for face products so I can actually finish them before the use by date. This sleeping mask does not have a strong smell, and I actually had to breathe in pretty deep to get even the hint of pomegranate. Since pomegranate fruit extract is the second to last ingredient on the label, this does not surprise me, but I was a little disappointed. However, as this is meant to be left on overnight, I think that the subtle scent is actually probably for the best. 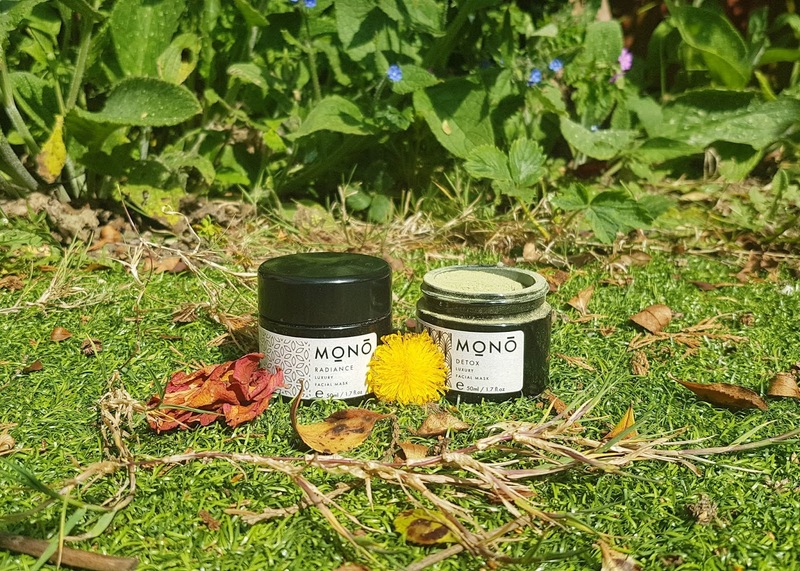 The consistency is pretty rich, so you only will need to use a small amount, and from the little I have already used it seems to leave the skin silky smooth and very healthy feeling. The description states it is suitable for normal, dry, and oily skin, but seeing as there are not many harsh ingredients and no essential oils, this could also work for those with more sensitive skin -- I do suggest doing a patch test first though to check to make sure the fruit extracts are not irritating. Ingredients: Aqua (Water), Kaolin, Glycerin, Cetearyl Alcohol, Glyceryl Stearate SE, Caprylic/Capric Triglyceride, Prunus Amygdalus Dulcis (Sweet Almond) Oil, Vitis Vinifera (Grape) Seed Oil, Butyrospermum Parkii (Shea) Butter, Acacia Decurrens/Jojoba/Sunflower Seed Wax/Polyglyceryl-3 Esters, Crambe Abyssinica Seed Oil, Sodium Levulinate, Glyceryl Caprylate, Citronellol, Sodium Anisate, Pelargonium Graveolens Flower Oil, Geraniol, Sodium Stearoyl Glutamate, Xanthan Gum, Lactic Acid, Linalool, Phytic Acid, Levulinic Acid, Cellulose Gum, Chondrus Crispus (Carrageenan) Extract, Ceratonia Siliqua Gum, Citral, Sucrose, Limonene, Citric Acid. 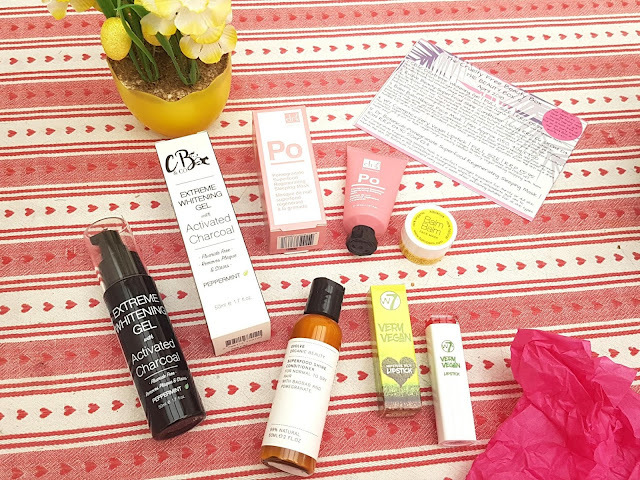 All in all I am very happy with the April edition from The Cruelty Free Beauty Box, and I think it is an excellent pick me up for anyone looking to switch to cruelty free beauty or who just wants some lovely goodies sent every month. 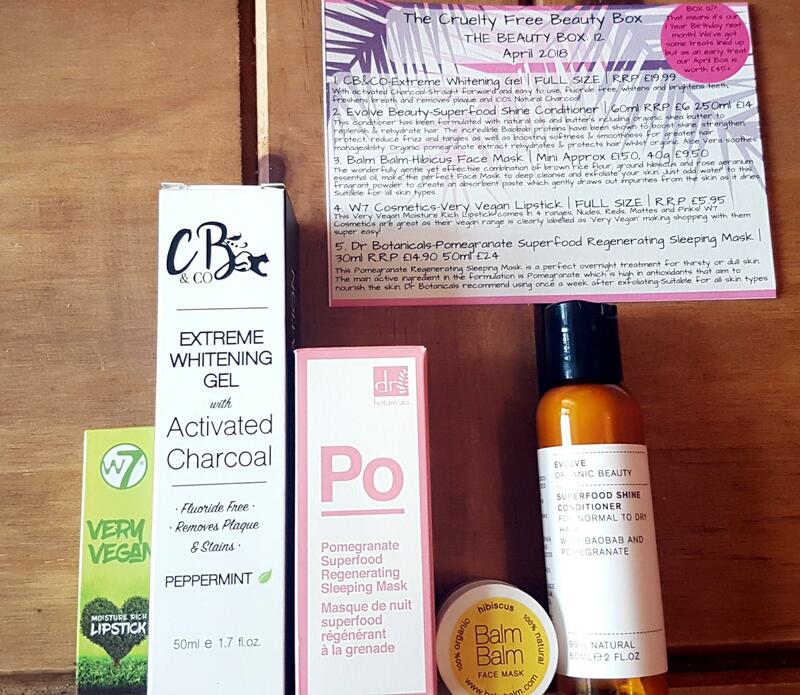 A subscription to The Beauty Box is £14.95 per month, or you can order a one off for £19.95. Seeing as how May is the one year anniversary of The Cruelty Free Beauty Box, I have a feeling we are all in for a real treat! 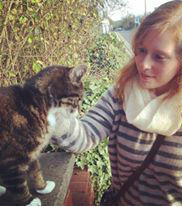 I for one cannot wait! I would love to hear what you think of this month's products. Are you happy with the selection? What is your favourite item from the April edition? And if you could hand pick any item to be included in the May box, what would it be?? The W7 very vegan range is amazing, and I love the lip colours, they're so pigmented! I'm gonna have to have a look at this brand! It looks amazing! I like this cruelty free subscription box. Cruelty free is getting more important to people these days which is good. It's very good value for money. I use W7 vegan makeup, but eye shadow, didn't try the lipstick so far. This month's box looks really great, many products I'd like to try myself. The price is great too. I have used that shampoo before and love it. It does not lather like regular shampoos but it cleans just as well and smells AMAZING. I regret not getting this box actually as all the contents look great. I'd love to see a review of that toothpaste. I've never heard of any of these brands, with the exception of Balm Balm and didn't realise there was a cruelty free subscription box. Good news. These days I can see absolutely no reason to test on animals at all. This sounds like a super box, and I love the sound of that Calming Crimson red lipstick! I'll definitely be looking out for that. It's an interesting selection. Love anything by Evolve. Oh they all sound fab especially the conditioner. I’m sold, as I only buy cruelty free products. I have never looked at these kind of boxes before but this looks great I am tempted now to treat myself! 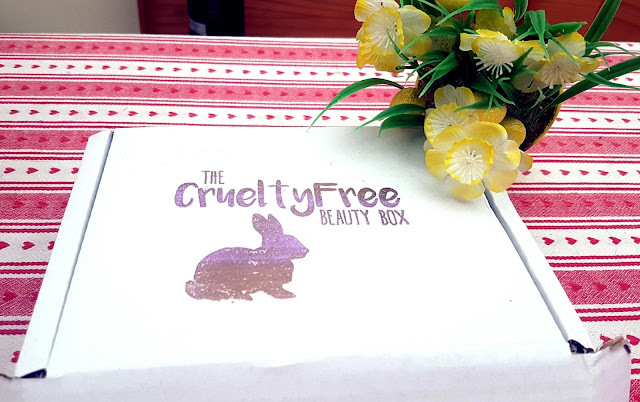 This box looks amazing and the fact that it is "cruelty free" is even better!